Stormwater Management Services help to limit and treat damaging effects from stormwater runoffs. Compliance inspections, maintenance, construction & repair, and bathymetric mapping are all ways that we can help improve stormwater management on your property or development. Most municipalities require adherence to the stormwater Operation and Maintenance Manual, as well as Annual Certified Inspections. Stormwater devices require regular maintenance to fully function as intended and to prevent more costly repairs and retrofitting in the future. We are a licensed North Carolina and South Carolina general contractor. As such, we are capable of providing all the stormwater device repair required. We can recommend the best solution to fit every need and implement that solution cost effectively. Our Lake Mapping Service utilizes very accurate GPS. Looking for help with your Stormwater Device Management? Give us a call. Most municipalities require adherence to the stormwater Operation and Maintenance Manual, as well as Annual Certified Inspections of regulated stormwater BMPs to make sure they are functioning correctly. The majority of Operation and Maintenance Manuals require monthly visual inspections, in addition to the Annual Inspection that must be filed with the municipality. Requirements to pass the annual inspection vary among municipalities. These inspections must be sealed by a certified engineer before submittal to the municipality. We have performed hundreds of these Annual Certified Stormwater BMP Inspections statewide. Stormwater devices require regular maintenance to fully function as intended and to prevent more costly repairs and retrofitting in the future. We regularly inspect these devices and maintains them to municipal regulations, as well as ascertaining their structural integrity. 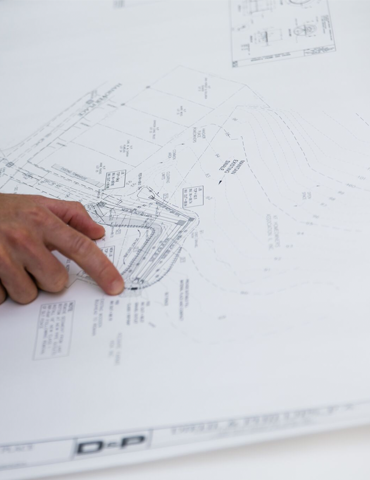 We make recommendations for corrective actions to improve function, seek approval from the owner, and then repair/renovate the stormwater device in accordance to the structural specifications and municipality requirements. 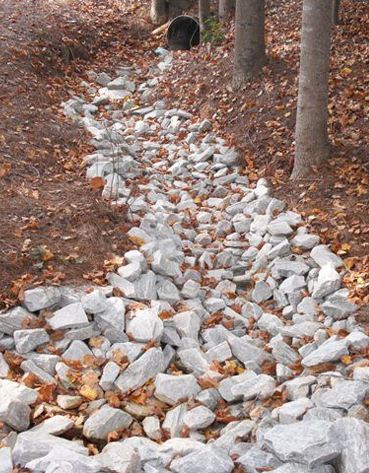 Routine maintenance of stormwater devices usually requires management of vegetation (terrestrial and aquatic), evaluation of erosion control measures, accumulated sediment removal, clearing of drainage mechanisms, and removal of debris and trash. We are a licensed North Carolina and South Carolina general contractor. As such, we are capable of providing all the stormwater device repair, renovation and/or construction services our clients may require. We specialize in repairing water level control structures (overflow systems), repairing dam and embankment failures, installation of erosion control practices, shoreline stabilization and littoral shelf restoration, sediment excavation and removal (dredging), repair and installation of stormwater drainage conduits. We can recommend the best solution to fit every need and implement that solution cost effectively. 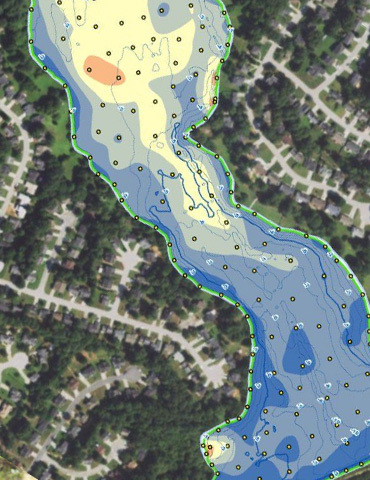 Our Lake Mapping Service utilizes very accurate GPS coupled with sonar. It is an excellent tool used to assist in the determination of quantities of sediment to be removed to achieve the desired depth results. We provide a helpful and unique service for owners who want a mathematical and visual image of the depth and contour of their pond/lake. By using an acoustic sounding device linked with global positioning systems (GPS), we can create a bathymetric map that displays the depths of a lake or pond. Another useful application for bathymetric maps relates to dredging. If a map is created in the early stages of a lake’s life, after many years another map can be created to compare the depths and any accumulated sediment. A map could also be used as a quality control check before and after a dredge project has taken place. Bathymetric maps can provide the volume of a given water body. 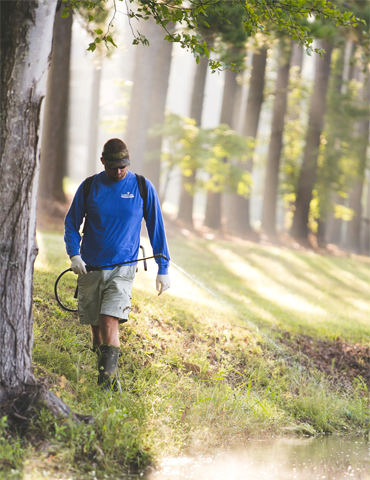 This information can prove invaluable when implementing a whole-lake treatment with an aquatic herbicide. Since the volume of a lake is needed to calculate the amount of plant control material needed, a more accurate lake volume will prevent the use of excess or inadequate material.